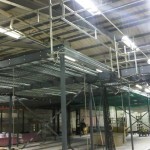 August 2011, Storage and Interior Concepts was contacted by a company in Leicester to install a Large Mezzanine floor. This Particular mezzanine floor, had particular safety features added, with safety netting as well as edge protection. With the construction of fire rated jumbo stud on the edge of the new mezzanine floor. All work was carried out to fire safety standards and approved for fire regulation. In addition to building works regulations. 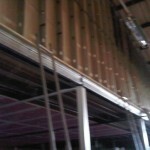 The images attached are some of what was taken at site during the construction. On the left is a image of the framework for the mezzanine floors. With steel beams, capable of holding a large amount of weight. 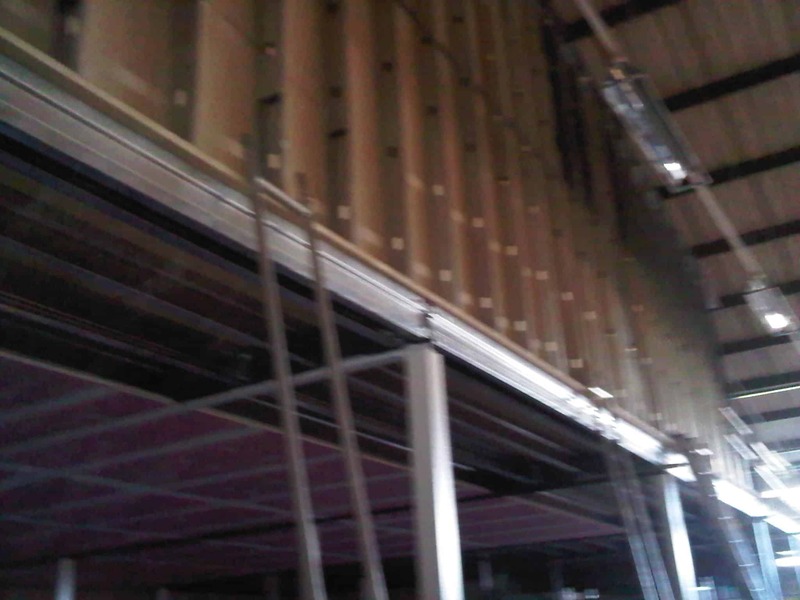 Additionally, the other image is that of a fire rated jumbo stud partitioning on the edge of the new floor. Which will be used to create a false wall.